Mum, Dad and the kids all eye me with a worried expression. 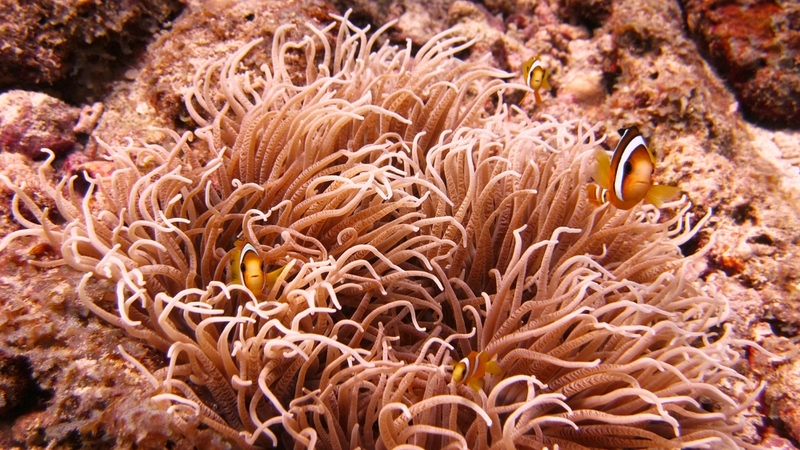 A family of Clark's Anemonefish (Amphiprion Clarkii) at Kuda Miaru Thila. 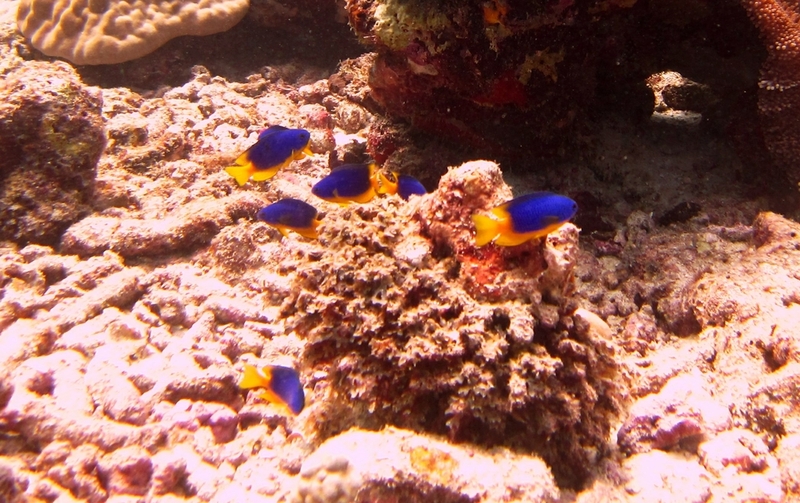 A pretty group of Caerulean damselfish (Pomacentrus caeruleus) at Kuda Miaru Thila. 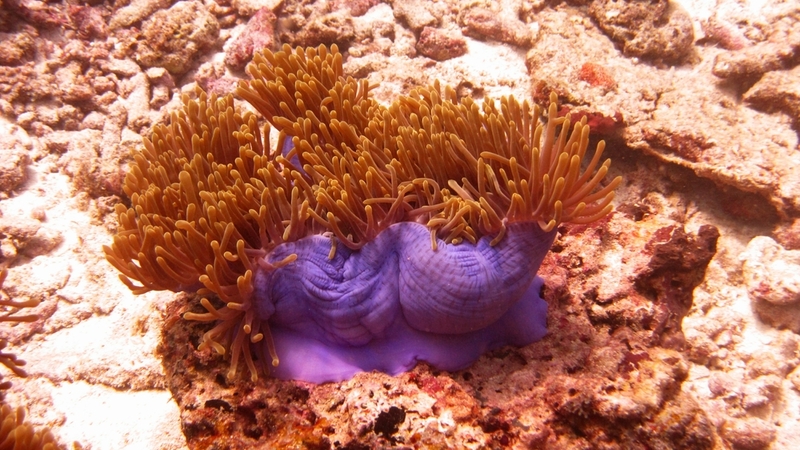 This Magnificent sea anemone (Heteractis magnifica) at Kuda Miaru Thila is half folded away, revealing its blue column colour. 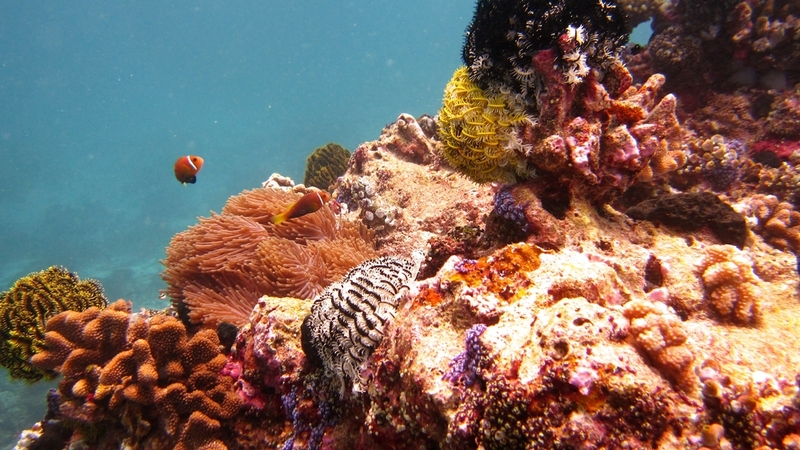 A pair of Maldives or Black-footed anemonefish (Amphiprion nigripes) above their favoured Magnificent sea anemone, which is surrounded by different-coloured Noble Feather Stars (Comanthina nobilis) on a beautiful bit of reef at Rehi Thila. 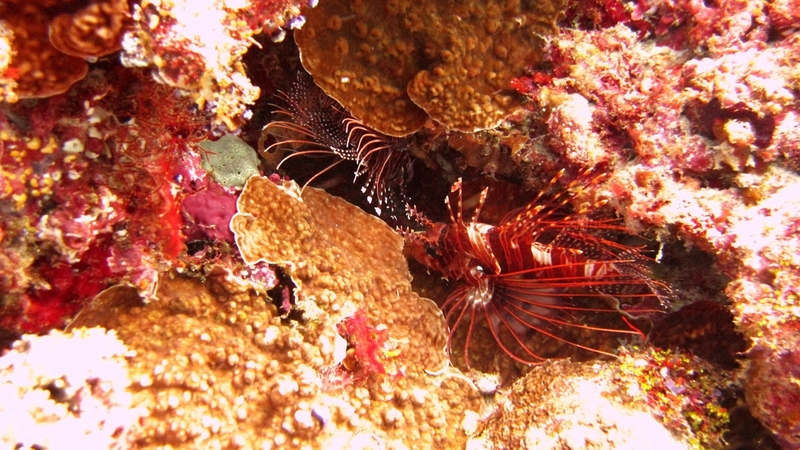 A pair of Lionfish (Pterois sp.) hide in a crevice at Rehi Thila. 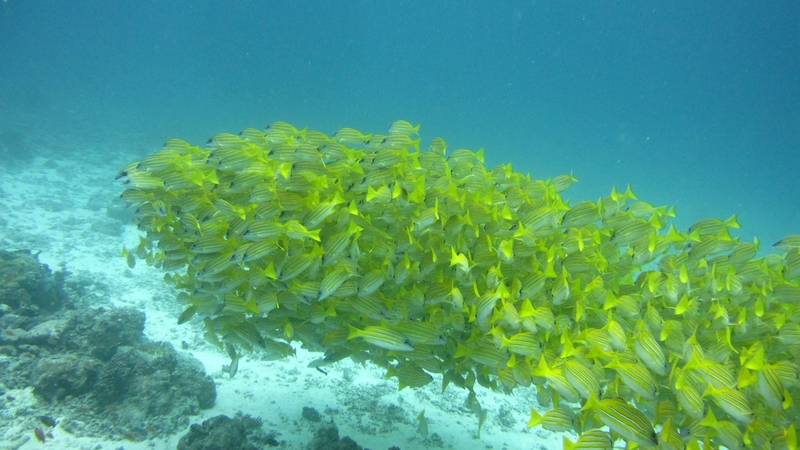 A large group of Bluelined snappers (Lutjanus kasmira) relax out of the current in the lee of the reef at Rehi Thila. 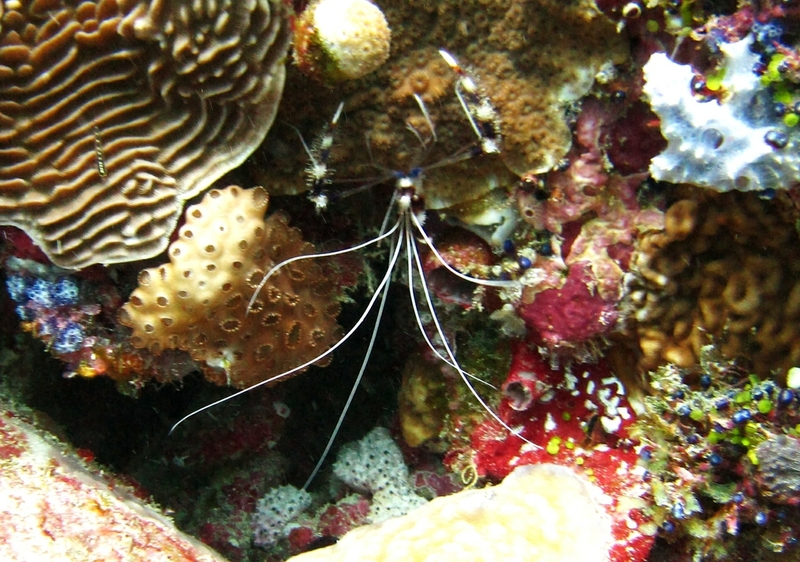 A Banded boxer shrimp (Stenopus hispidus) at Rehi Thila. 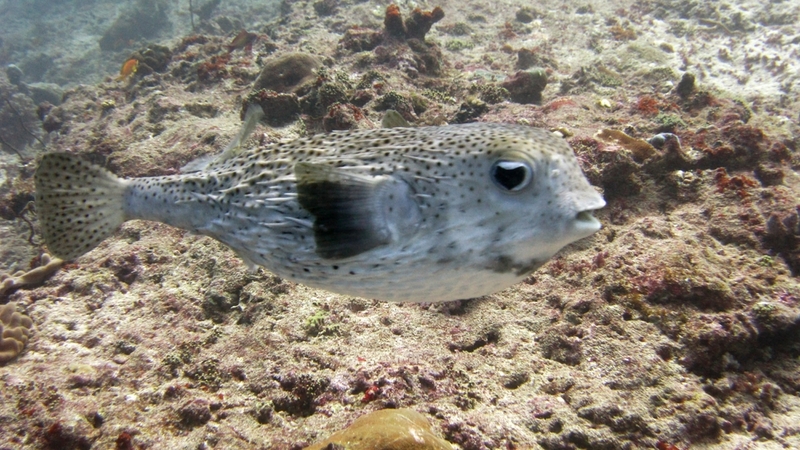 The bizarre-looking Scribbled pufferfish or Map puffer (Arothron mappa) at Panettone Kandu. 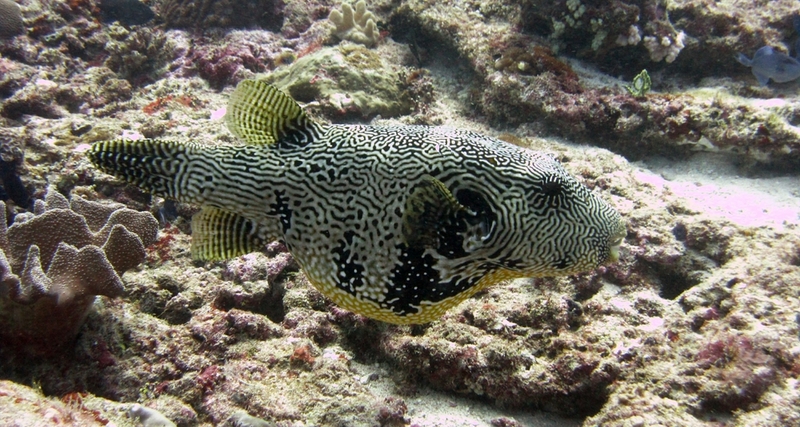 A Star Puffer (Arothron stellatus) at Rehi Thila. Note the spines which stick out when the puffer fish inflates itself into a round spiky ball to deter predators. 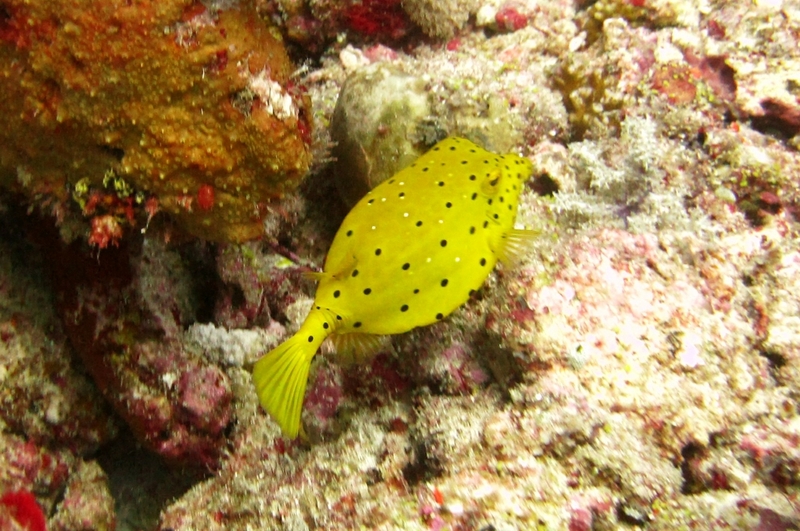 A juvenile Yellow boxfish (Ostracion cubicus) at Moofushi Kandu. As they mature, the bright yellow colour fades to dark brown. 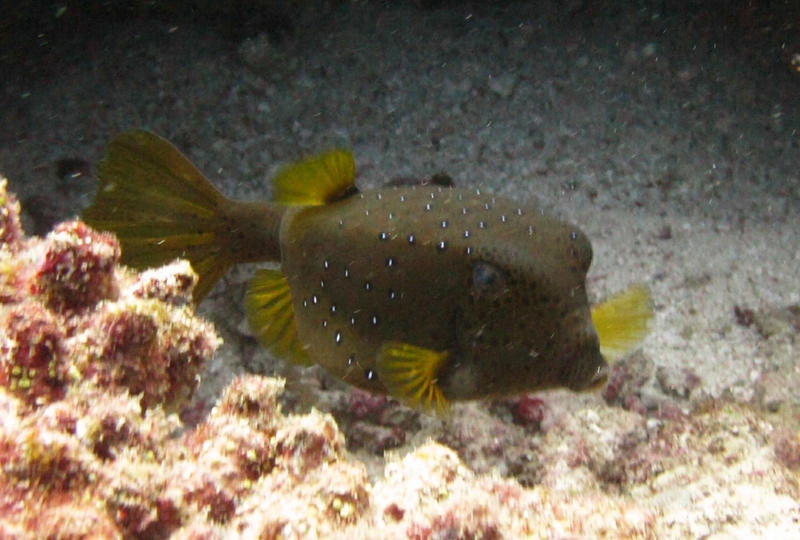 An older, darker Yellow boxfish (Ostracion cubicus) at Panettone Manta Point.